Cleaning your home is never fun. It involves you using up valuable time that can spent doing other important matters or simply enjoying yourself. 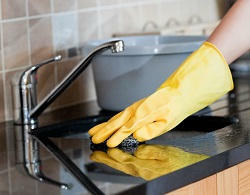 Domestic cleaning can take many hours each week, and no matter how you approach it, it still is consuming. You can do bits along the week or dedicate an entire day to it, but either way it will restrict the instances when you could be doing other things. All this can lead to you abandoning your cleaning all together but this isn’t recommended because it will result in a messy home, in which you can’t relax and you cannot feel proud of it. It can seem unlikely that having perfect home while managing your time efficiently can never be done but all it takes is the right help. We at House Cleaning Services dedicate ourselves to assisting people with their domestic chores and can provide all the support you need when you call us on 020 3770 8836. We are a firm dedicated to giving you the best London cleaning service possible and this begins when you call. Our operators will answer all your questions and give you invaluable advice about your home cleaning. They will equip you with the knowledge to tackle your own chores at a high level, so your home can look better in less time. They will also fill you in on all of our services so you will discover what we can do for you. We can send a team or just an individual to your address to handle everything. They can come at a time that is convenient for you and as often as you like. This means they can become a permanent fixture in your routine, ensuring your home is always tidy. They can also come to just tackle large cleaning jobs, such as after a party or to get your mess to manageable level, as well as other one time cleaning jobs such as before or after a move. Our flexible approach is encapsulated by the free quote we can offer you. This will ensure you get the help you need at a great price, and you do not have to commit to any quote we offer. We can supply one of these as soon as you call us on 020 3770 8836. To give you the best service we have to have the best staff working for us, and we do just that. Our team of domestic cleaners in London is made up of people who are experienced, professional, hardworking and knowledgeable. This means they will see to every cleaning chore necessary in a prompt and superior manner, with your goods will be neatly arranged and look their best once they have handled them. They are also trustworthy and hardworking, willing to work when they are needed and they can even manage without your attendance, so you can return home to find all the work has already been done. A home is made up of many different objects, from furniture, to electronics, ornaments, carpets, rugs, and much more. Our staff will see to every aspect of your home, spending time to ensure every surface, window, object and item of clothing looks its best, is in its right space and is ready for use. They will issue various materials, agents and equipment to do the job properly. They will handle everything with care and are completely dependable so you should not worry about not getting the best service. If you want your London domestic cleaning handled by professionals, simply get in touch with House Cleaning Services on 020 3770 8836 today.